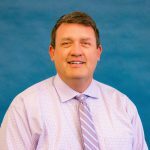 The Indiana Department of Child Services named Adam Norman deputy director of the child support bureau. Norman will ensure the state of Indiana meets all federal and state requirements related to child support services. Norman will provide subject matter expertise during the transition to INvest, the state’s upgraded child support records and payments system, and continue the division’s work to make sure child support services effectively reach those across the state who need it most. Norman spent five years with the child support bureau but took a two-year hiatus to work in the private sector, then returned last year to the assistant deputy director position. Norman holds a law degree from Indiana University and formerly worked as a deputy prosecutor in Bartholomew and Tippecanoe counties.